Sarasota, Florida is renowned for the art found there, as it is home to a plethora of artists and creatives. An artistic utopia, Sarasota is known all over the world by artists and aspiring alike. To be expected; this enticing city situated right on Sarasota Bay has top-tier art colleges and an array of alluring galleries. Need some ideas on how to get creative and fully experience Sarasota’s local art? Below are some highlights on where to start your complete artist’s retreat! The heart of the creative culture found in Sarasota started with John and Mable Ringling. Avid supporters of the art community at the turn of the twentieth century and imperative to the eventual evolution of Sarasota’s creative atmosphere, you will find their original collection of unique art in The Ringling, the State Art Museum of Florida. As well as the Ringlings’ personal collection, the museum holds a variety of other galleries, including a spectacular Modern Art gallery. Are you more interested in a practical application of art? Sunny Sarasota has something for every type of creative! For those more interested in the architectural or historical aspect of Sarasota’s art scene, the Ringlings’ home should be on the must-see list. The Ca’ d’Zan, on The Ringling campus, was constructed per Mable Ringling’s personal design influences. Tours are available to see this exquisite 5-story, 41-room mansion up close. Travel back in time while exploring the unique grandeur of this mid-1920’s mansion! Before the tour is complete, be sure to stop by Muse at The Ringling for a delicious dinner and impeccable views; located in Mable Ringling’s famous rose garden. The impact the Ringling’s had can be seen all throughout Sarasota; including The Ringling College of Art and Design, founded in 1931 in honor of Sarasota’s most prominent supporters. From student galleries to experienced artists around the world, the art found at this institute is unlike any other. All galleries on campus are open to the public and offer a wide perspective on the art community not only in Sarasota, but across the world. The new Richard and Barbara Basch Visual Arts center displays an even wider variety of art with a glass art studio consisting of Basch’s personal art collection and an assortment of glass art from ranging artists. Sarasota’s hidden gem, Towles Court’s Old Floridian homes and aged brick streets bring a whimsical charm to this small, serene town of artists. Home to a diverse group of designers, art therapists, jewelry makers, potters, cafes and many more, this vibrant community will be a favorite! 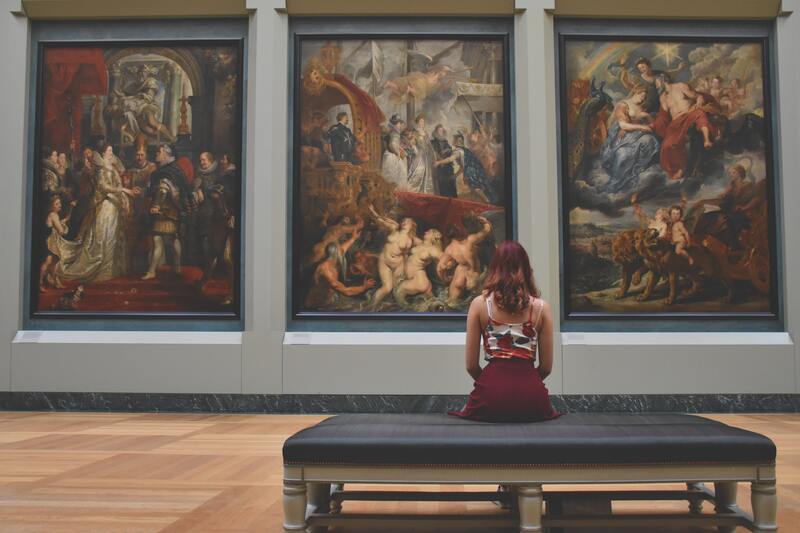 Make sure to plan your trip around the third Friday of the month; Towles Court hosts monthly Art Walks with live music, great food, and much more. Are you hoping to improve your skills as an artist during your retreat? Gillespie park is a historic downtown village that also hosts monthly Art Walks and other events. If you were looking to hone your craft, stop by The Artful Giraffe for classes taught by the local artists themselves! All aboard for the artist’s dream getaway! Next stop: Rosemary. Another hidden gem, but more modern than Towles Court, Rosemary Historic District is a contemporary community that is home to many different types of designers. For those looking for the architecture hotspots- this is it! Sarasota Architectural Salvage features exclusive furniture and art you don’t want to miss. No matter what your ideal vacation is, there’s no end to the adventures in store for you in Sunny Sarasota. Sarasota is full of hidden gems just waiting for art lovers to discover. 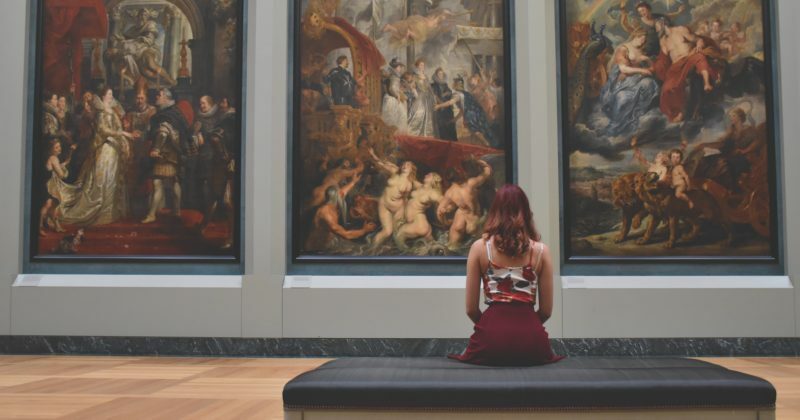 Following this quick guide to Sarasota’s art community, you’re ready to set off for the quintessential artist’s getaway! Adventure Awaits at Coral Cay! 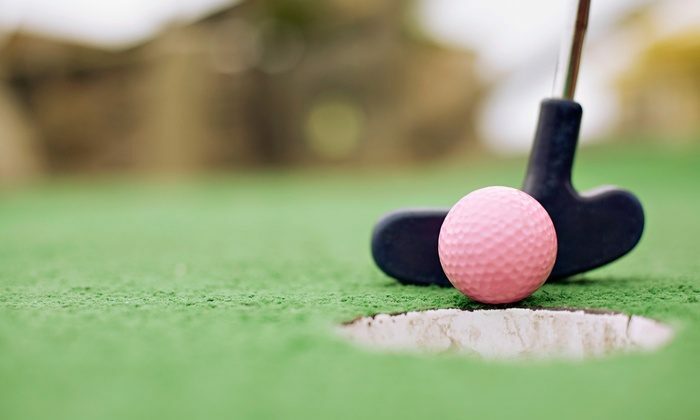 A popular hot spot of fun for all ages in Naples, Florida is Coral Cay Adventure Golf. No equipment necessary, just bring the whole family and be ready to play the day away! With a variety of holes and challenges, this is sure to be an unforgettable adventure that the whole family will enjoy. No matter the time of year, Coral Cay Adventure Golf offers an entertaining tropical paradise for all. With two courses to choose from to play at your leisure, the enticing botanical gardens featuring tranquil waterfalls, caves to explore, and other aquatic details promises a delightful day for everyone. There’s no need to rush the fun, Coral Cay allows you to come back on a different day to play the second course if you’d like! With a total of 36 mini golf holes and ranging challenges, this is the perfect way to unwind and have a great time with the whole family! Once you’ve finished the course, the adventure isn’t over! Head over to the concession stand to recharge with a snack or refreshing ice slush. If you’re ready for round two, Coral Cay offers specials and deals that are redeemable at a later day. Take your chances at the crane machine and other fun games! Look no further for the perfect place to plan your party; Coral Cay Adventure Golfs hosts various parties and events with exciting surprises that are sure to bring an exceptional time. This Mini Golfer’s Dream is a delightful adventure you won’t want to miss out on. Unforgettable Adventure For the Whole Family! Coral Cay Adventure Golf is open year round; if you’re planning a cozy holiday retreat, make sure to put this mini golf adventure on your must-do list! With discounts and specials available on Coral Cay Adventure Golf website, the whole family is sure to have an unforgettable experience in this tropical mini golfing paradise! Make your vacation to Ft. Myers, Florida one for the books by taking a trip back in time to the Historic Burroughs Home and Gardens. This exquisite home, built on the banks of the Caloosahatchee River, is the last one standing from the initial “Millionaire’s Row”. A historical gem of Downtown Ft. Myers, this blast from the past is an essential stop for your Florida vacation. 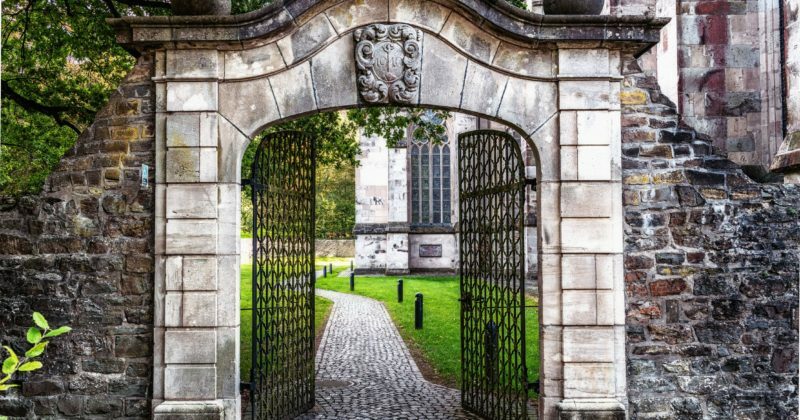 Have a Quick Look at The Historic Home and Gardens here! This grand, 6,000-square foot mansion still retains much of the original interior features and custom landscaping, exclusively designed to hold parties and events. The Georgian Colonial Revival style home is a unique and remarkable architect’s dream. First built by George Barber for John Murphy, this historical gem was then purchased by the Burroughs Family in 1918. With guided tours, a pristine and tranquil waterfront view, and plenty of event space and assistance, look no further for your most fascinating family vacation yet! This historical mansion has many secrets waiting to be discovered and adventures to be had. One of the attractions of this Florida gem is the unique setting offered for a variety of events. A popular wedding destination, the historical Burroughs Home and Gardens features mesmerizing sunsets and unforgettable moonlit dances overlooking the water. If you’ve been searching for a memorable place for your special day, Burroughs Home and Gardens has what you need! A new open-air pavilion is the perfect place for your birthday bash, business meeting, cocktail parties and more. Seating up to 300 people, with a breathtaking historical backdrop and enticing water views, this historical home is sure to bring an unforgettable time. An on-site event professional is available to walk you through all of your planning needs. Every detail of your event will be taken care of through the event planning team at The Burroughs Home and Gardens, including all catering concerns. With several renowned chefs making up their catering team, no problem will be left unsolved, leaving you to relax and enjoy your visit. Pricing and reservation information can be found on The Burroughs Home and Gardens website. 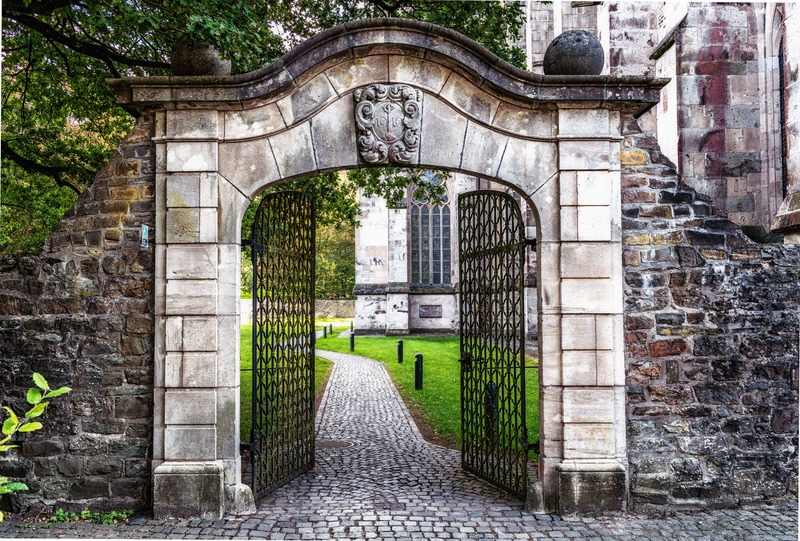 You can also find information on the history of the mansion; however, nothing will compare to an intimate tour of the grounds with your personal guide – you’re in for an interesting and informational adventure to remember. With many highlights to explore in this two-story elegant mansion, the guided tours offered are a key component to your visit. A Historical Vacation Gold Mine! This charming and timeless Georgian fashion mansion is a breathtaking historical gold mine that you will want to add to your vacation destinations! Stay up to date to plan your vacation accordingly by visiting their news and events site here. Have you been looking for the ideal vacation spot with endless adventures? Sarasota, Florida has many fascinating attractions, but perhaps one of the most exciting is the Safari Wilderness less than two hours away! Located in Lakeland, Florida, this ranch is home to over 500 unique animals with breathtaking Florida landscapes. An array of species that reside here, originating from South America, Africa, and Asia in beautiful natural habitats will take your from the perfect Florida day trip to an unforgettable global adventure! Entering this wonderful wilderness paradise, a short boardwalk will take you over Florida’s second largest wetlands area, the Green Swamp. While waiting for your safari to begin (be sure to make reservations!) you will see a number of furry friends roaming – the sister Calico cats are the sweetest friends! You’ll even be able to see magnificent peacocks, with other birds in the aviary. Be sure to bring some treats along for the friendly ostriches, antelope, swamp deer and the others! There are a number of animals in this pet paradise which you will be allowed to feed – one of the most captivating are the gentle water buffalo. The llamas are especially friendly, so be prepared to have some sweet furry friends come right up to you for more treats. Nothing beats the ostriches need for treats, however; they have been known the chase after the safari bus in hopes of more treats – they don’t give up easily! As long as you have some food to offer, these gentle animals will want to be friends “fur”ever! 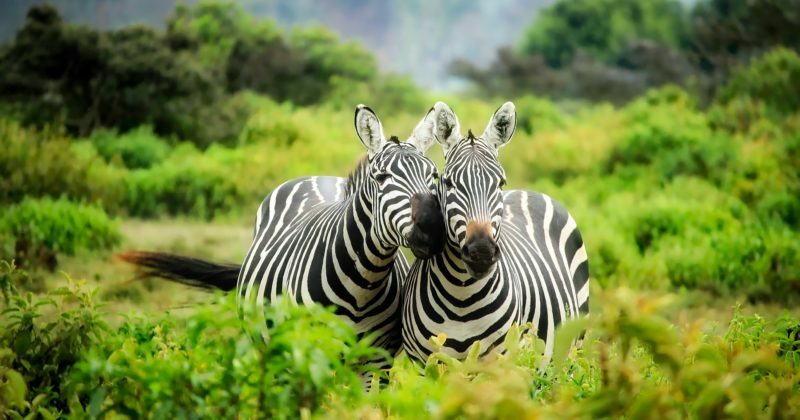 With the wide array of different species residing here, it will be hard to pick a favorite, but once you meet the charming zebra you will be instantly infatuated. 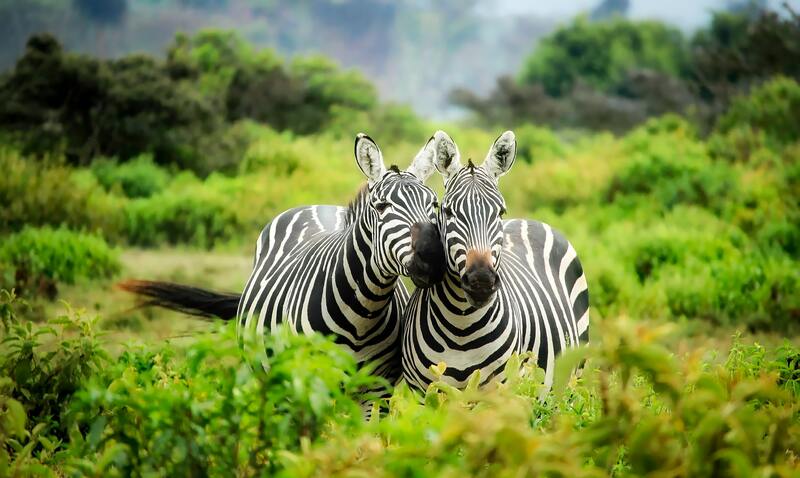 You may even see a baby zebra or two hiding behind their mother! These absolutely endearing and sweet-tempered creatures will steal your heart right away. On your Safari Adventure, you’ll want to have a few things on your list for your best adventure yet! Closed-toed shoes are highly recommended, even if you’re planning on taking the safari bus – you will find many grassy areas with dirt, so to avoid any unwanted accidents that may shorten your adventure, close-toed shoes should be number one on your list! Have your camera or phone on hand and ready, you won’t want to miss any of the amazing animals you encounter. This is going to be an unforgettable day adventure, so make sure you bring some snacks along for the journey! When your two-hour safari adventures ends, be sure to stop by the gift shop area to memorialize your adventure. But before you head there, meet the casual camels, who are very photogenic and love to take photos when you say cheese. Don’t forget to get a shot of the mesmerizing peacocks and other birds in the aviary. Still craving more adventures in nature? The tour guides recommend returning, because of migration and weather, each tour is highly specialized and you will always be in for a new adventure. If you’re looking for a different adventure deeper in nature, Safari Wilderness not only offers two safari tours a day, but camel voyages, a kayak safari, a sunset safari and unique personal encounters with the lemurs and guinea pigs. Are you a nature lover looking for the perfect place to party? Safari Wilderness has endless adventure options, including offering The Safari Lodge to be rented for special events. Buckle in and get your cameras ready for the nature lover’s retreat of a lifetime! Reel in The Big One! Are you getting ready for your fishing trip on the sparkling waters of St. John’s River or Lake George? Whether you’re a new angler or “reel” expert, good fishermen are always looking for new tricks to help lure the best catch. Reeling in the big one can be fishy business, but fear no fish! Here are some great tips that will have you ready to tackle anything! When choosing what kind of bait to bring for the ultimate catch, live bait is always preferred! Worms and smaller fish are most commonly used and proven to be most successful. Freshwater fishing? Here’s a basic beginner tackle box guide to start with! Today there are many tools available to aid your fishing needs! Electronic fish finders are widely used and a certain way of leading you directly to the best fishing spots. If you’re new to the game, make sure you bring a topographical map to keep track of water depths and an electronic fish finder. Seasoned fishermen know that the weather affects fish habits. 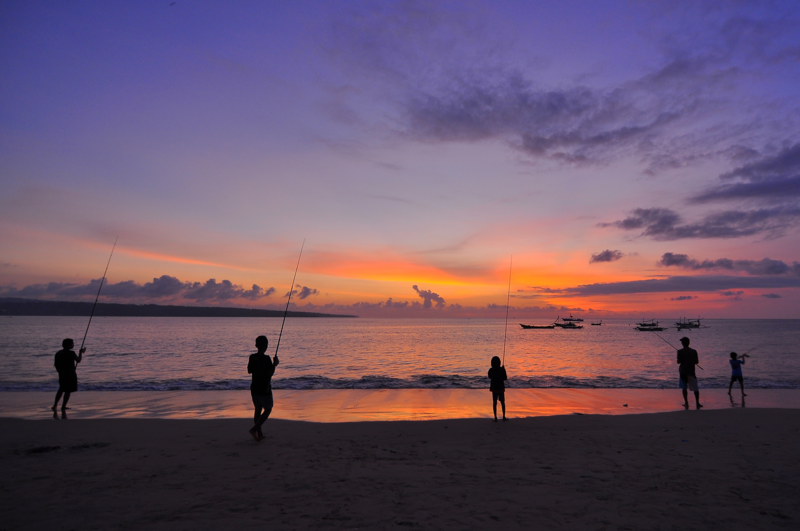 Cloudy days are preferred for fishing, as your catch is more likely to be lured by your bait. Sunny Florida doesn’t see too many of those days, however; just cruise to some darker waters for the optimal catch. Planning a night fishing excursion? Paying attention to the moon and its phases is key for night fishing – full moons are prime time for the best catch, while moonless nights are the least favorable for fishing. The brighter the moon, the better! Practice, practice, practice! Ensure you can confidently tie knots and handle the sharp hooks prior to departing on your fishing adventures. There’s so little time and so many fish – you don’t want to lose any time due to injuries! Keep your fishing trip fun and make sure you’re comfortable with your equipment. You’re almost ready for the complete fishing trip! Make sure you’re familiar with the fish in the spot you choose! Here’s a list of fish found in the St. John’s River. Looking for the best bass in the state? Head to Lake George for some fantastic fishing. Fishing is a Reel Tough Job – You’re Ready to Tackle It! Reeling in the big one is no easy feat, but with these excellent fishing tips, it’s sure to be an enjoyable and rewarding adventure. For a catchy fishing trip of a lifetime, rent a cabin or boat at Castaways on the River and get ready for your best adventure yet! Staying Safe While Having Fun on Vacation! Staying Safe While Having Fun! 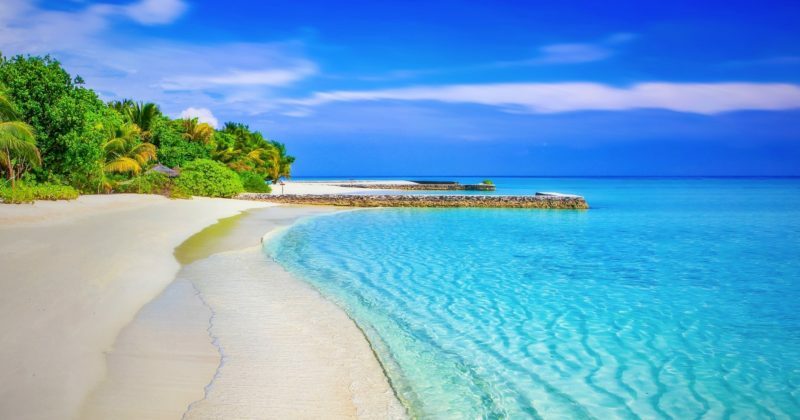 Southern Florida is considered one of the most beautiful destinations in the world. Renowned for the alluring natural habitats, gleaming white sand beaches, calm rivers, and especially the intriguing wildlife. During your relaxing vacation in Southern Florida, you’re sure to run into the indigenous inhabitants- alligators. Below are some safety tips to keep in mind for an enjoyable vacation. The most essential rule to keep in mind regarding alligators is to keep your food stored away. Do not feed them! Alligators have an instinctive fear of humans, which is favorable for us, as people are natural prey in the wild. Sharing your food can be dangerous, as it emboldens the alligator, and in turn, may look for other people in search of food. A good rule of thumb is to not feed any wildlife you may encounter. Spring and Summer is alligator mating season in Florida, so be extra careful during these times. Alligator nests may also be found more frequently, so if you happen to run across one, do not disturb it. Mother gators are always nearby, so just keep in mind to give the alligators their space! Their temperament may change erratically, and you may see larger gators than normal – the best thing to do is not interact with them in anyway and give them plenty of space. It’s not the complete vacation without Man’s Best Friend! Everyone loves to bring their pet along for a cruise on the river or to splash in the waves. It’s easy to keep your best bud safe by keeping them leashed the entire time. Headed for a lazy day on the river? Make sure to keep your dog leashed when you dock, especially during alligator mating season. These magnificent creatures may appear passive and idle, but they move rapidly. A good rule is to always keep 60 feet between you and the alligator. If they hiss or lunge at you – back up! That’s a warning sign you’re too close. St. John’s River is a prime destination for boating, fishing and lovely water views. From the deck, under the warm Florida rays, you may be tempted to take a quick dip in the waters. A key safety rule to keep in mind on your vacation is this: If you can’t see your feet or arms while in the water, do not swim! Swimming where you cannot see your arms or legs should be avoided, as gators frequent these areas. There are many gorgeous, crystal clear springs that are accessible from St. John’s River, including Silver Glen Springs. The water is shallow and alligators are rare. 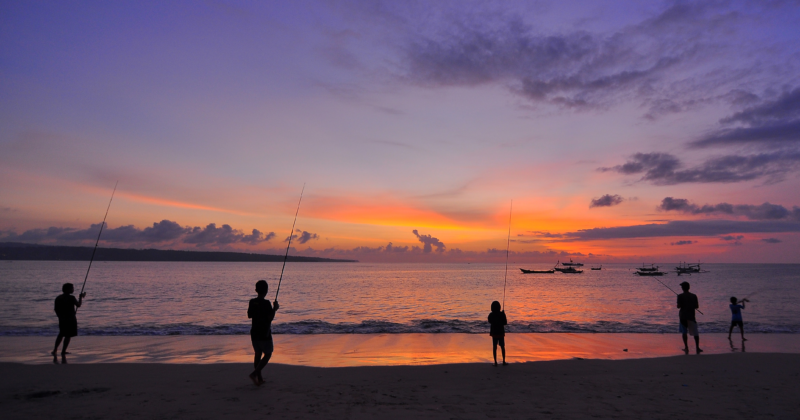 Make sure to visit one of these breathtaking spots during your fishing trip! Be careful where you pick your fishing spots – some gators will be attracted to the fish on a hooked line and may grab it. Fishing in areas that are heavy in vegetation or near the water’s edge is discouraged, as those are popular gator hang outs. If you’re fishing for a fresh catch for dinner and don’t want any surprise bites, just stay in open, clear water. Geared with these quick and easy safety tips, you’re ready for your vacation on the river! Castaways on the River can help you plan for your essential vacation. 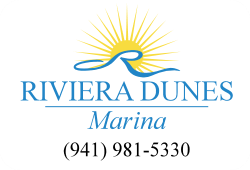 With many different rental boats to choose from in the marina directly outside your hotel room or cottage door, relaxing on the river is a Florida Must-Do! The fun never ends in Sarasota! Sarasota, the endless adventure and ideal vacation! If you’re looking to wind down after a day in Sunny Sarasota on the sparkling white sand beaches, there’s plenty of nighttime shenanigans to get in to. The combination of restaurants and bars offering happy hour and seafood specials with a breathtaking waterview makes Sarasota the place to be on The Gulf Coast! Mix in some live music from local artists and you’re sure to have a time to remember. 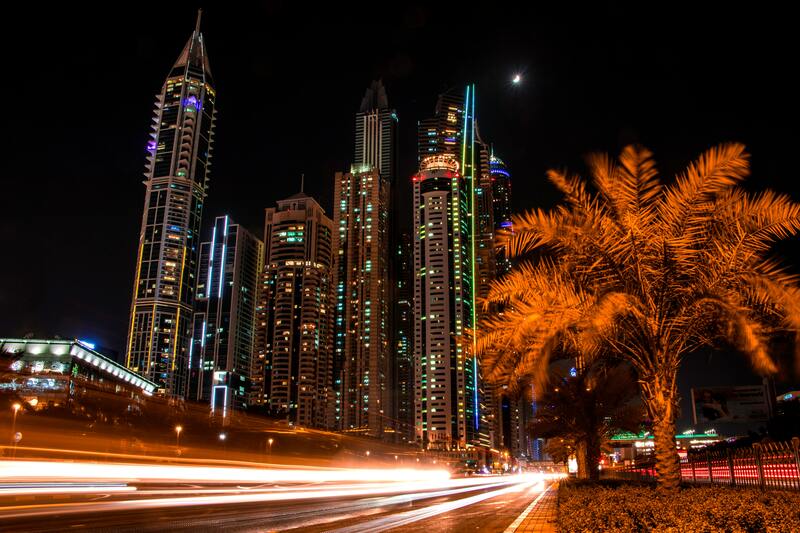 The only dilemma you may face is deciding where go for the night. Below are Sarasota nightlife essentials, and regardless of where you choose, you’re sure to be in for a cool coastal time! Live music, over a dozen frozen daiquiri options, happy hour specials, and an amazing tree top view, Daiquiri Deck Raw Bar is a MUST DO! A deck overlooking The Gulf of Mexico and Lido Beach, with stunning sunset views from the second floor makes this an essential stop for your vacation. A more traditional way to wind down is Captain Curt’s Backroom Saloon. South Siesta Key Bar features nightly entertainment, plenty of TV’s to watch your favorite sporting event, pinball and foosball for entertainment and much more! Bingo Sunday’s are a sure way to have some fun with prizes offered all night long. Come relax with an ice-cold beer in Captain Curt’s warm and homey atmosphere! Sharky’s, voted Florida’s #1 Beach Bar, is also a necessary experience. Directly on the Gulf of Mexico in Venice, Florida, Sharky’s offers dancing and live music on a large wrap-around deck. Finish the night with a cold one from the Tropical Tiki Bar and a walk down the pier. If you want a place that features music and dancing, The Gator Club is the place to be. Nightly entertainment, Sarasota’s best known DJ, Ladies Night every Tuesday, The Gator Club promises to be an enjoyable evening. 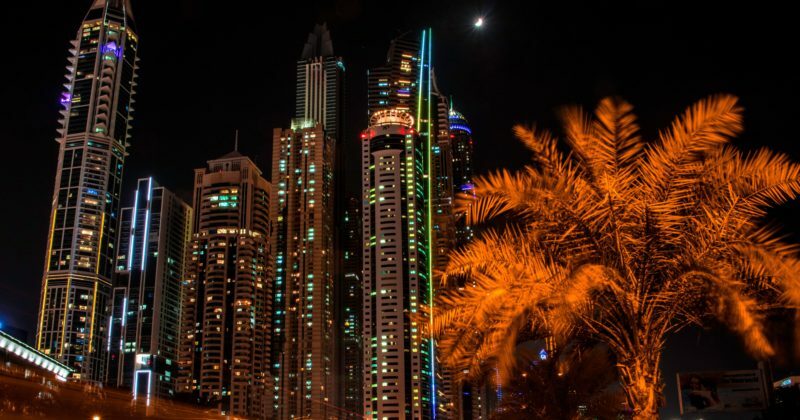 For a more sophisticated evening on the town, head over to Marina Jack, featuring a lounge and piano bar, with plenty of drink and food specials. This exclusive restaurant is a sure to be good time for the whole family- including your furry friends! Marina’s Jack patio is dog-friendly. Marina Jack also offers lunch and dinner time cruises for an unforgettable experience over the open water on their cruise ship, Marina Jack II. So with these Sarasota nightlife essentials, you’re geared up for your most memorable vacation yet! There’s no end to the unique ways to spend your time in Sunny Sarasota, where the fun never ends. 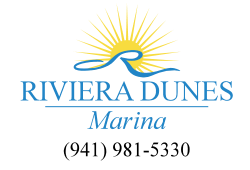 Looking for date night ideas near Riviera Dunes Marina? 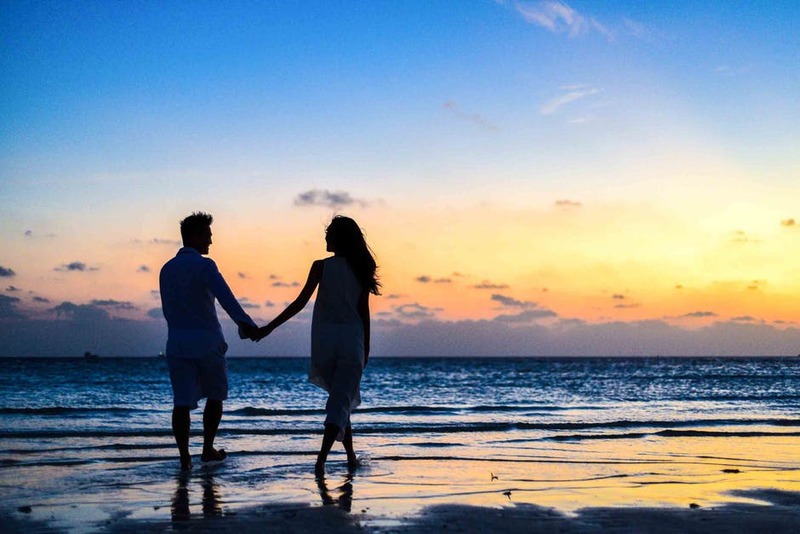 Look no further than Sarasota, where there are plenty of activities for couples! 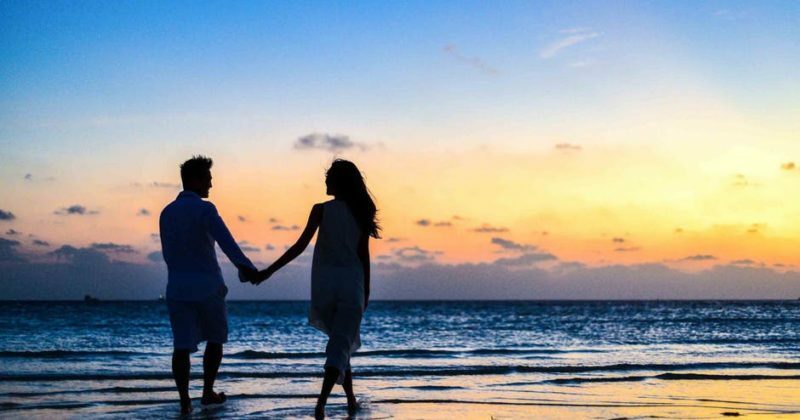 Whether you and your special someone want to catch a sunset, enjoy a great meal or create a masterpiece, Sarasota is brimming with unique date night ideas. 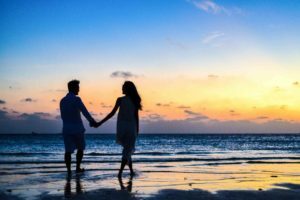 Here are three date night activities near Riviera Dunes Marina. While the sunsets around Sarasota are captivating on their own, see them from a whole new perspective aboard a boat! Pure Florida Sunset Cruises offers a front row seat to the sunset overlooking the Caloosahatchee River. Bring your own picnic and non-alcoholic beverages as you catch views of Fort Myers, mangroves and more! If you’re looking for sunset with dinner and drinks included, book a sunset cruise with the Naples Princess yacht. When you reserve their romantic sunset dinner cruises, rest assured you’ll get to enjoy spectacular views and a gourmet meal. Speaking of gourmet food, Sarasota is chock-full of delicious dining spots where food lovers’ dreams will come true! If you head to St. Armands Circle, discover fine dining restaurants offering Italian and Greek fare, then make sure to save room for dessert! St. Armands Circle has a creperie, French macaron shop and even a gourmet popcorn company! And if you visit on the right night, you can catch some live jazz music! There are also plenty of restaurants in Downtown Sarasota that not only offer a romantic atmosphere, but they are known for their exquisite bites. Perhaps you’re interested in approaching your date night with a creative spin. Create art while imbibing! Local businesses like Painting with a Twist and Paint Nite Sarasota offer a unique way for you to spend your date night near Riviera Dunes Marina. The best part about these experiences is that the classes are led by an instructor, so all levels of expertise will be able to enjoy them, all while indulging in their beverage of choice! All you have to do is head to their website, choose what you’d like to paint from their list of masterpieces and reserve your spot online. From painting your pet to capturing our lovely Florida sunsets on canvas, you’re guaranteed to end your date night with a true work of art and a fun night out with your loved one! 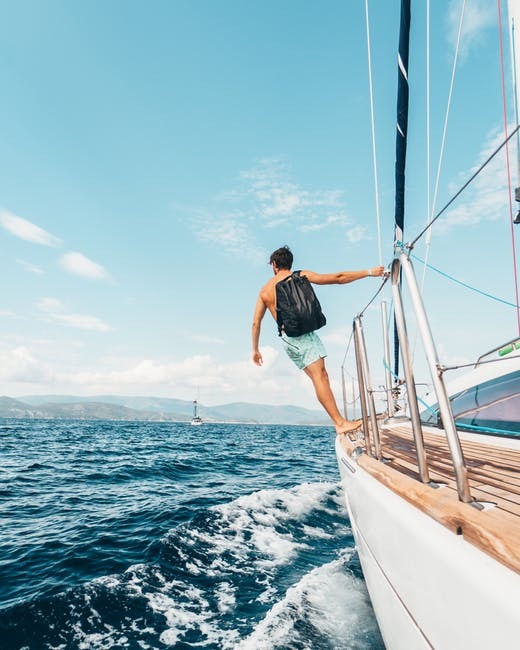 If you’re not on a boat as a resident or visitor in Sarasota, you’re missing out on plenty of fun adventures on the water! From snorkeling to exploring the wildlife and luxury waterfront homes here, there are far more boating adventures than just coasting along Sarasota Bay. If you don’t own a boat, there are plenty of facilities where you can rent a boat, too. And if you’d rather not travel by boat, take out your kayak or canoe to enjoy these boating adventures in Sarasota. Tour Sarasota’s fabulous luxury homes. Sarasota has some beautiful mansions that you can see when boating along the Intracoastal Waterway! From luxury tiki huts to grandiose artwork in the backyard, if you go at a slower speed, you’ll get to take in all of your surroundings. Look to Bird Key and Northern Siesta Key to begin this unique boating adventure! Cast a line at the Middle Grounds. The Middle Grounds are one of fishermens’ favorite fishing spots in Sarasota, and it’s also a sort of hidden gem. Just head to the New Pass area in Sarasota Bay, and you will find an area brimming with spotted seatrout, pompano and cobia, just to name a few! Use shrimp as bait or try fly fishing to capture these fabulous game fish. If you need more bait, there are several bait shops nearby carrying the best in bait and any other fishing supplies you might need. Anchor your boat, canoe or kayak in a sandy spot adjacent to one of Sarasota’s seagrass beds to do some exploring! You’ll likely find these these seagrass beds when you snorkel in water that’s within 7 feet deep. 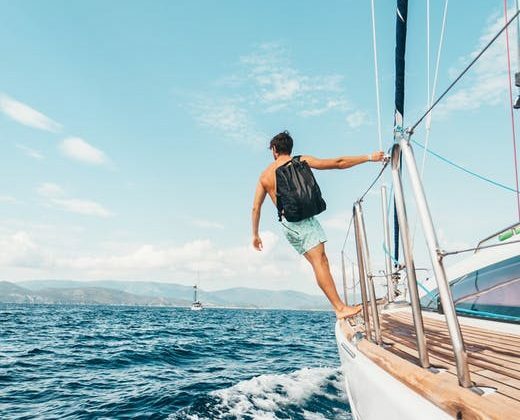 From underwater landscapes, spotted seatrout or even manatees, snorkeling is one of the most thrilling boating adventures you’ll want to carve out time for while in Sarasota. Just be mindful when you’re snorkeling as to not disturb these beautiful underwater communities. Capture the natural surroundings and wildlife. When you’re boating in Sarasota, you’ll come across a plethora of unforgettable nature views and wildlife. Capture these moments by taking your professional camera on your boating adventure and waiting for the perfect shot! Watch as dolphins come to the surface, and don’t forget to look up to see great blue herons in flight!